Beach Yoga Tomorrow Morning at 8:45am – Its looking like it will be beautiful!! If you want to know how you got to where you are today, look at your past actions. If you want to know what your future will be like, look at your present actions. Its that simple. 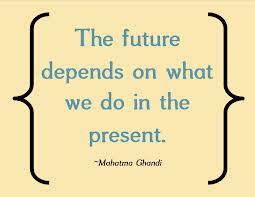 We create our future everyday with what we do in the present. Tapas, the Niyama described as disciplined action, helps us create the future we long for. Take a look at your present state of mind, your present schedule and what it is comprised of and ask yourself if it is aiding you in creating the life you desire. 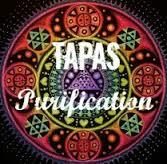 Tapas helps us to create the fertile ground for healthy growth to occur. Tapas is getting on your yoga mat, getting to bed early, creating space in your life because the disciplines help to create an ultimate calm state of mine. Tapas enlightens our days with determination and resolve to stay on this path we have chosen, courageously forging our way through this beautiful journey called life with joy. $15 per person – There is currently one spot open for this event. If you have signed up and do not plan on attending, please let me know. Friday Night Gift from the Sea Book discussion will meet at Cedar Beach West Parking Lot between 545 and 6pm. Bring your favorite passages and thoughts. Bring a chair, drink and snack if you like. Let me know if you plan on attending. I won’t see you Sunday – it’s our anniversary and we are busy. Happy, sunny yoga!